HAPPY BIRTHDAY Victoria Caroline Beckham was born on April 17, 1974, and turns 45. She was born in Harlow, Essex, United Kingdom, and raised in Hertfordshire. The former singer rose to fame as a member..
Mel B apparently missed the first day of rehearsals for the upcoming ‘Spice Girls’ amid ongoing rumours of a feud between her and bandmate Geri Horner after she claimed that they had had a fling..
Emma Bunton's tour nerves The singer says she is "really nervous" about the Spice Girls tour, because of her "terrible" memory. Emma is set to reconnect with Geri Horner, Mel B, and Mel C for a number..
Spice Girls Change Lyrics to Be More LGBTQI-Friendly The Spice Girls have changed some of the lyrics in their classic hit, '2 Become 1,' in order to make it more inclusive. 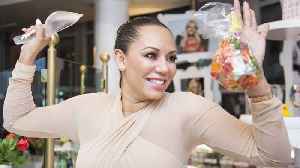 In an interview with 'Gay..
Mel B has avoided a potentially-embarrassing court trial by agreeing to pay her former nanny £1.8 million in damages. The Spice Girls have changed some lyrics in their hit '2 Become 1' ahead of their upcoming reunion tour to make the song more LGBTQ inclusive. Billie Eilish didn't know the Spice Girls were a real band until two years ago as she thought their 'Spice World' movie was pure fiction. The Spice Girls have denied reports that they scrapped plans for a world tour following Mel B’s claims that she had a fling with Geri Horner.